Parkinson’s disease is very troubling because it is hard to recognize in the human body. Typical symptoms like tremors are common with other body malfunctions associated with multiple sclerosis or traumatic brain injury, so it can be difficult to differentiate actually having Parkinson’s upon initial investigation. 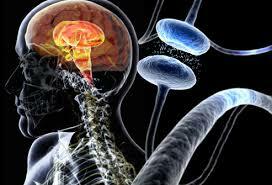 Parkinson disease is usually caused by nerve cells in the brain that are slowly dying off. These nerve cells are what produce dopamine in the body which is associated with a human body’s movements. Significant amounts of dopamine diminish as a direct effect of these neurons dying. However, it is important to note that the exact cause of the neurons dying still baffles scientists today. With that in mind, scientists observe many other factors that are associated with this disease. What Are Symptoms Of Parkinson’s Disease? Depression and dealing with fatigue are some common symptoms that are associated with this condition. Since dopamine is not performing, a person may experience poor balance, as well as sharp pains in the muscles. If the symptoms are not treated over time, a person may develop depression and low self-worth. In addition, these chemical afflictions to the brain will slowly affect the creative aspects of the mind which enables a person to remember as well as empathize with others. Additional symptoms to be mindful of would include leakages during bowel movements as well as severe soreness. Other degenerative aspects of Parkinson’s would include difficulty with controlling saliva and also experiencing bouts of dizziness. If any of these symptoms occur, it is pertinent that the person experiencing the symptoms contact a doctor immediately especially if there is any bleeding during a bowel movement. A doctor will be able to determine whether or not hemorrhoids are the issue or if a colonoscopy is in order. How Can One Accurately Diagnose Parkinson’s? Currently, laboratory tests or blood samples do not exist to diagnose the disease. An analysis is usually derived from observing medical history. An examination of the brain is also a possibility after the medical history has been observed. This diagnosis can be silent but deadly because a lot of the symptoms mentioned are usually associated with the normal process of getting older. Historically, brain scans also appear normal in the individual that could potentially be dealing with Parkinson’s. What Foods Or Beverages Should Be Avoided? Is important that anyone that thinks they have Parkinson’s should avoid all beverages that contain caffeine. It goes without saying that alcohol should be taken off the menu as well as high protein drinks. Consumed in large quantities, these beverages can contribute to extreme dehydration due to the loss of water in the body. The substantia nigra is located in the brainstem and is also the area that is affected the most. Since dopamine is decreased, another common ailment is the inability to get a complete nights rest. A person may now have difficulty turning in bed. Depression may continue to grow as a result of many sleepless nights. Many sleepless nights would lead to excessive sleepiness during the day. Over time, this will increase the likelihood of developing dementia. There is to be a level of continuous evaluation of the patient so that any symptoms identified can be evaluated efficiently. The medical community also encourages the use of many pharmaceutical drugs to treat existing conditions. Some of these drugs would include: Levodopa, Anticholinergenics, COMT inhibitors, Dopamine Agonists as well as MAO B Inhibitors. In addition to pharmaceuticals, doctors may also suggest healthier dietary habits. Lastly, surgical implants may be used as a solution to stimulate the brain. Are there any side effects associated with taking pharmaceutical drugs that the body is not used to digesting? Some side effects linked with various drugs mentioned would include hallucinations, ringing in the ears, constipation or nausea. If any of these side effects occur, the doctor should be available to change the dosage immediately during follow-up sessions. Do Any Natural Solutions Exist In Conjunction To Traditional Methods? Hypnosis is a practice where a clinical hypnotherapist works with a patient to get them to change their frame of mind. A once anxious person can be brought into a relaxed state when the hypnotherapist accesses the subconscious mind. Guided imagery is provided during a session when a patient is listening to the practitioners calming voice to create peaceful thoughts. The sessions can be one-on-one followed by music that is relaxing success using sounds in a tranquil environment. In 2013, the National Institutes of Health conducted a feasibility study with regards to clinical hypnosis and its ability to treat Parkinson’s. This disease affects 1.6% of elderly citizens in the United States and the NIH is continuously looking for additional ways to treat this. They conducted a study on a male that was 51 years old and was identified as having Parkinson’s Disease. During the study, this male was subjected to three weeks of continuous sessions with hypnosis followed by specific instructions for self-hypnosis. The NIH highlighted successful results of the study because this gentleman had experienced a reduction rate of 94% relating to his tremors. In addition to the limited number of occurrences for his tremors, the man also reported that his quality of life had improved overall. This meant that his high levels of anxiety were also lowered and he was able to get a full nights rest. They concluded that clinical hypnosis should be seen as a viable solution in dealing with symptoms associated with Parkinson’s. In 1990, the NIH conducted another study measuring the effects on hypnotherapy and tremors associated with Parkinson’s. During this study, the patient being observed was also monitored using polygraph recordings so that they could measure results. Patient was also taught self-hypnosis and was instructed to implement the strategies up to four times a day in addition to taking his traditional prescriptions. The study also found that the daily sessions of relaxation was beneficial in reducing tremors in the patient. Andrew Hardwick, DipClinHyp, DipAdvHyp, DipM, CHt, MIACT points out that Hypnotic processes are very powerful in the symptomatic relief of Parkinson’s, because the symptoms themselves are not purely of a physical nature. The patient diagnosed with Parkinson’s also displays common psychological responses caused by a wide range of beliefs, which can therefore be addressed through the use of hypnosis. For example, when a patient is given a diagnosis of Parkinson’s, it is usually done by an authority figure such as a doctor. In this scenario, the patient is receiving what hypnotherapists call a “prestige suggestion”, i.e. one from a perceived figure of knowledge and authority. We look up to them, and so therefore it must be true. If one were to consider Eric Berne’s transactional analysis model, this scenario is also reminiscent of a parent-to-child transaction. For a highly suggestible patient this can be a very powerful suggestion that can be as life changing as Parkinson’s itself. Therefore great care should be used to “break the news”, and there is a fine line between keeping the patient informed of their condition and accidentally making it worse through communication. The patient’s natural response to hearing a diagnosis like “you have Parkinson’s”, is to perform what in neuro-linguistic programming would be called a “trans-derivational search” of the memory. At an unconscious level the patient would inwardly search their memory for what a Parkinson’s sufferer is, how they look, how they act, what they do etc. If they have accepted the suggestion that they have Parkinson’s, then they will likely begin to “role play” what a Parkinson’s patient has. For example, the memory of a grand-parent with a severe tremor, limb stiffness and awkward walking gait may trigger the same learned behavior, as mimicry is a very powerful learning tool throughout life. Using hypnosis to first de-hypnotize the patient of these beliefs is the ideal starting point for hypnotherapy. This can enable the patient to accept that “yes i have Parkinson’s”, but reject the underlying belief that they must have the symptoms of Parkinson’s, or to do something else instead. 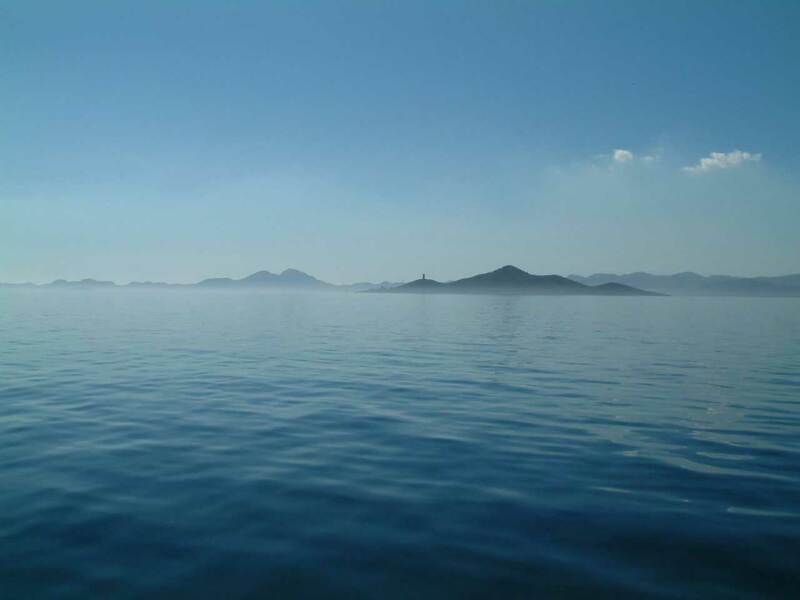 For example, within the patient’s memory may be some recollection of a time of stillness, calm & tranquility. Hypnosis and/or NLP can be used to first collapse the anchor/trigger that the word Parkinson’s implies I must have a tremor”, and then replace it, through post-hypnotic suggestion, with the behavior of stillness, calm & tranquility. This has been done with Parkinson’s patients in New Zealand, and as the psychological belief in the tremor was replaced, the tremor faded, leaving only the physical part of the tremor. This makes a substantial difference, perhaps the difference between being independent and dependant? It would be very interesting to see a clinical study on how different personality types respond to the diagnosis of Parkinson’s. From an understanding of hypnosis and suggestion, it is possible that such a study would find a significant difference between patients who have a compliant (I have Parkinson’s and all that brings with it”) nature, from those who have a rebellious (“this isn’t going to affect me the way it did granddad!”) nature. In today’s ever-growing and stressful environments, it can be estimated that over 80% of all health care issues are associated with many types of conditions related to stress. Using strategies that incorporate mind and body together like hypnotherapy for Parkinson’s Disease can significantly influence a positive overall well-being. The medical community is also increasing collaborations with nontraditional approaches to degenerative diseases and ways in which the patients will continually benefit greatly.